John Grey is an Australian born poet working as financial systems analyst. Recently published in Poem, Spindrift, Prism International, and the horror anthology, What Fears Become. His work is upcoming in Potomac Review, Hurricane Review, and Pinyon. 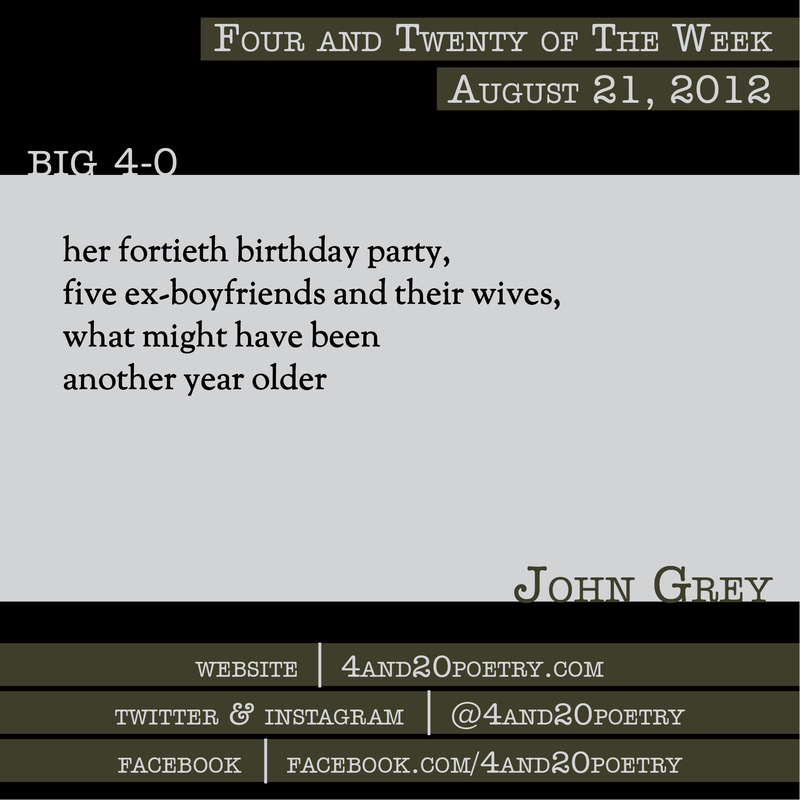 This entry was posted on Tuesday, August 21st, 2012 at 4:20 am and is filed under Four and Twenty of the Week, Micro Poetry, Poetry. You can follow any responses to this entry through the RSS 2.0 feed. Both comments and pings are currently closed.